The majority of our Pennsylvania-based business clients have received a letter from the Pennsylvania Department of Revenue discussing outstanding tax liabilities and the new 2017 Pennsylvania Tax Amnesty Program. 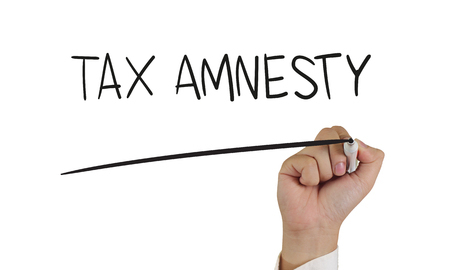 We sent out a message about the tax amnesty program last week. Our understanding is that this letter, or one similarly worded, will be sent to EVERY BUSINESS filing tax returns in the Commonwealth of Pennsylvania. 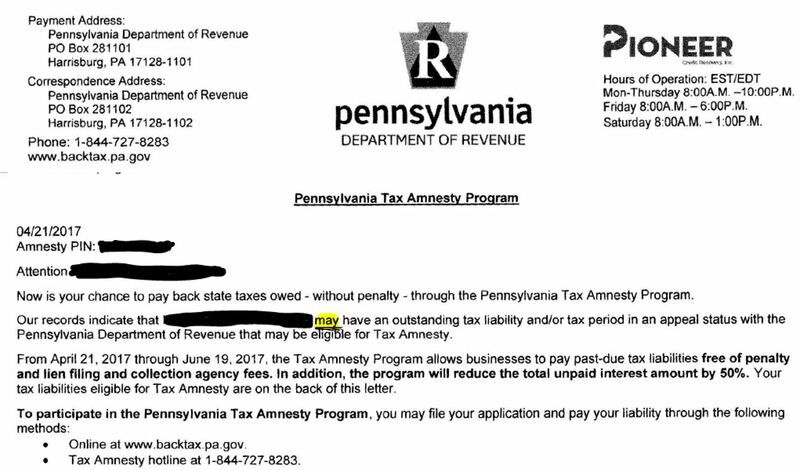 The Pennsylvania Department of Revenue is NOT checking their archives to see if your business entity owes any tax; they are just blindly sending this letter to all businesses to see what kind of response they get. Accordingly, receiving this letter does not necessarily mean that you owe any back taxes to Pennsylvania. It’s unfortunate that the state is sending this letter without checking their archives. This letter from Pennsylvania is one part “awareness program,” one part fishing expedition, and one part intimidation tactic. We want you, our valued clients, to be aware of this situation, in case you receive a letter like the one above. Don’t hesitate to contact us if you have any questions or concerns.